We recently shared a story about a couple of photographers who travel the world together with their home being wherever they are. But another couple has their photos inspired by traveling, only they do it in a completely different way. They don’t meet during the travels, but their photos do! And when they are stitched together, they make quite an interesting project named HalfHalfTravel. Becca Siegel and Dan Gold are travelers, photographers and a couple. Dan is currently working remotely and doing a year of traveling. During this time, he’s visiting a new city every month. He travels across Europe, Africa and Latin America. Becca previously spent 2.5 years studying and working in East Asia. She is is currently based in New York City, but she still travels quite often for fun. As you can see, Dan and Becca are apart most of the time. Each has traveling adventures of their own, but they found a way to share their experiences. 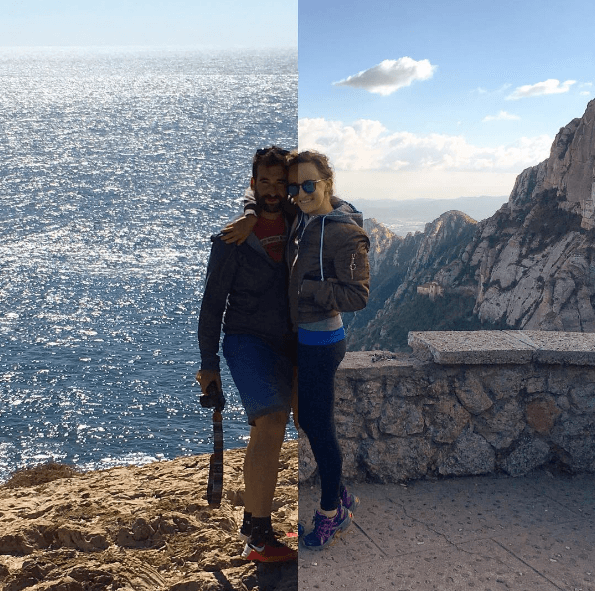 They do it by matching up their travel photos side by side. This way, they create seamless images of different scenery, food, coffee and much more. Dan and Becca are travelers and photographers, and Dan also works as a freelance frontend web developer. If you’d like to see more of their HalfHalfTravel project, you can check out their Instagram profile and website. For more of Dan’s work, take a look at is his websites here and here. For more of Becca’s work, you can check out her website, like her Facebook page and follow her on Instagram. yeah well i guess they know why they spend time away from eachother.